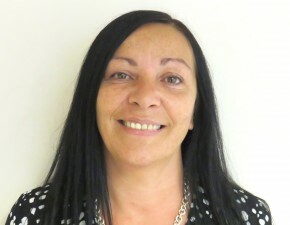 Mary took up the position of Managing Director with DEAP in February 2008, having spent several years working as a Regional Operations Manager for a National Charity. Previous to this Mary worked in the Retail sector at Management Level. She studied at Dundee University and gained a Masters Degree in Welfare Studies, and a HND in Applied Consumer Studies. She is a qualified Assessor, Internal Verifier and trainer, and holds CIPD professional qualifications. In 2014 Mary was recognised for her commitment to developing and managing services that has positively contributed to supporting individuals and communities in Dundee and Angus. At the prestigious award ceremony held in the Apex hotel, supported by her colleagues and friends, she was announced the winner of Women Ahead Awards in the category of Community Women of the Year for Dundee and Angus. In her spare time she enjoys socialising with friends and family, travel and walking her Jack Russell Terriers.